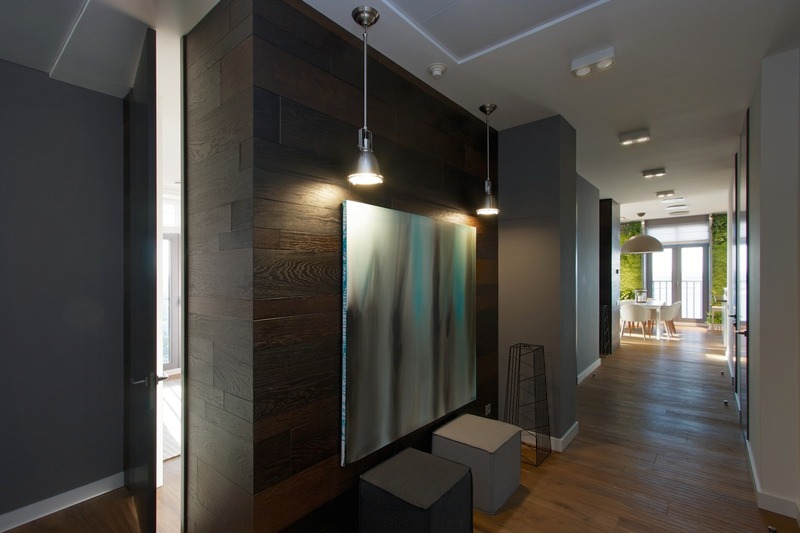 The best interior designs do not, in fact, feature a surprising element around every corner. 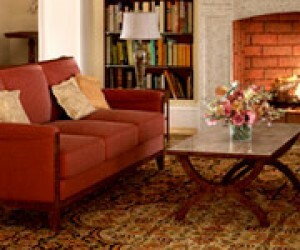 In fact, the best designs keep to basic colors, simple objects, and bring focus to one or two truly unique pieces. 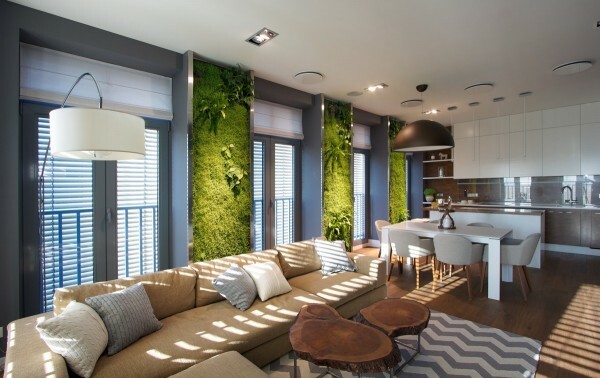 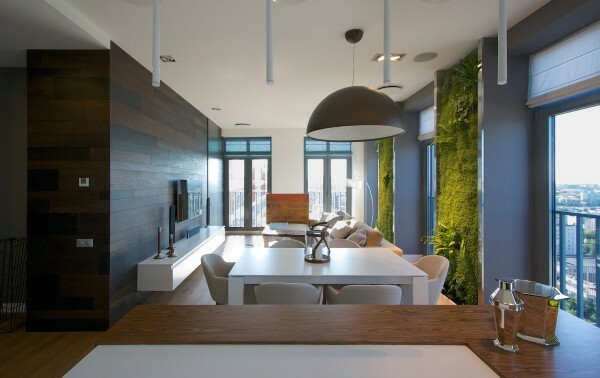 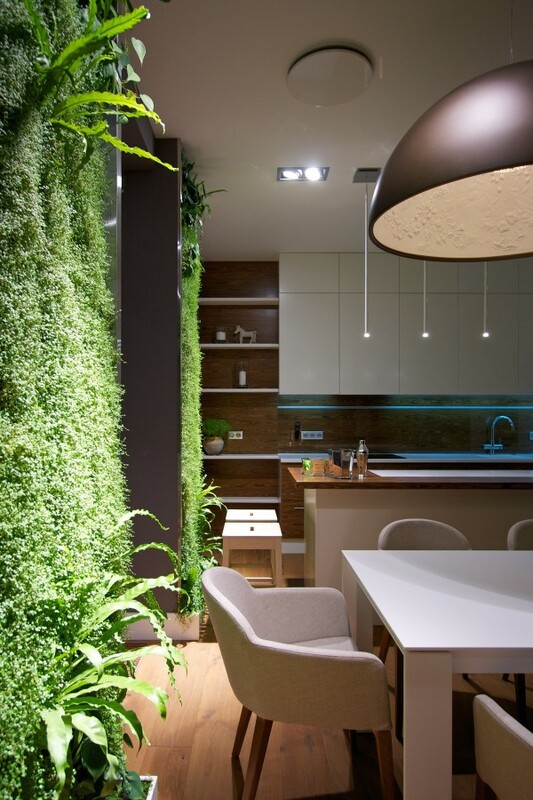 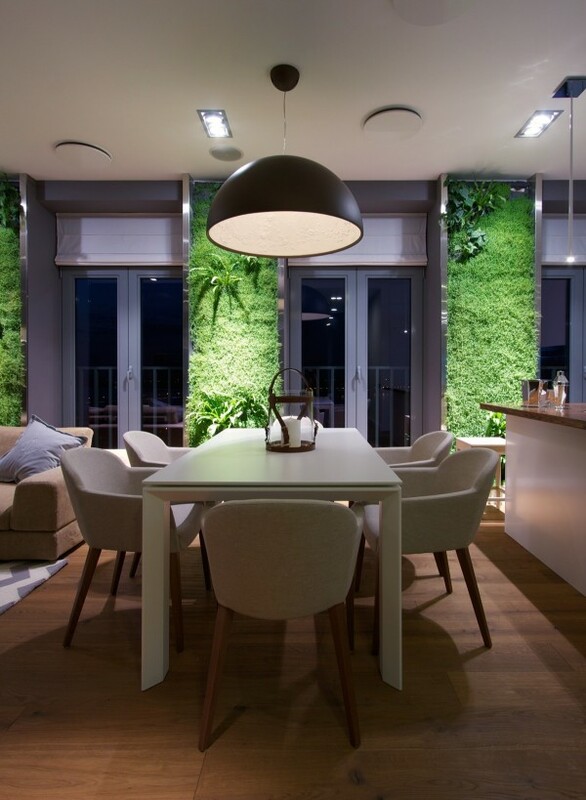 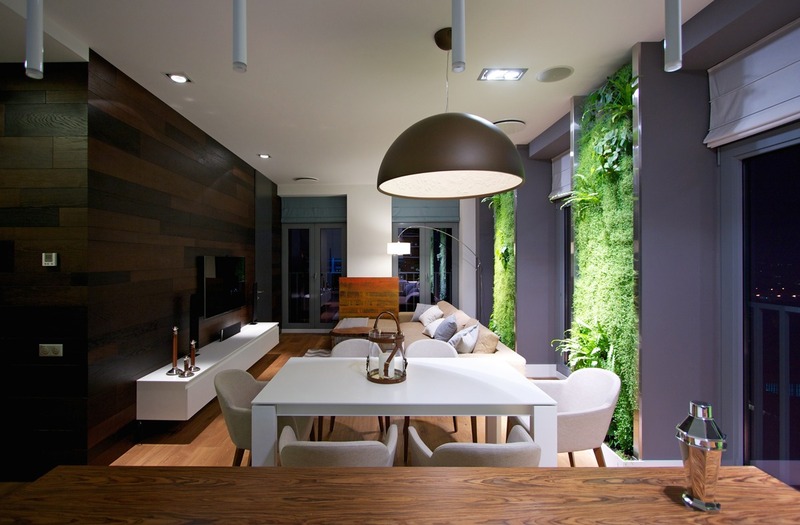 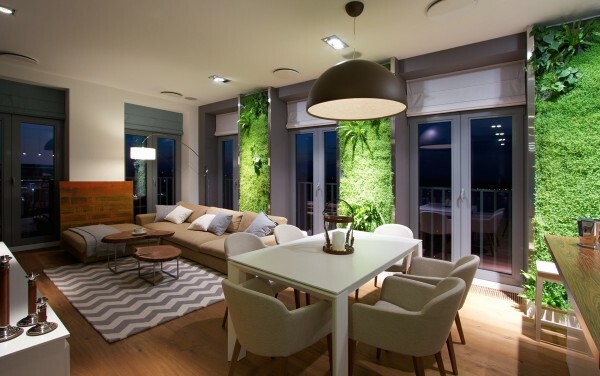 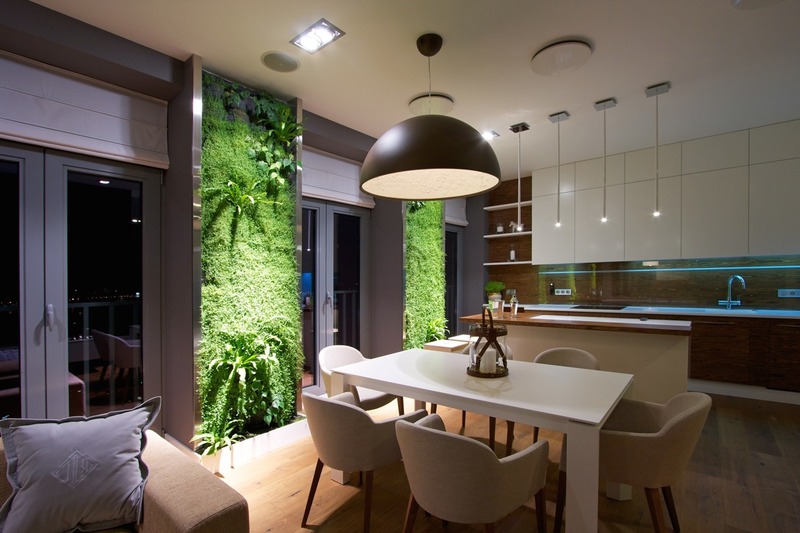 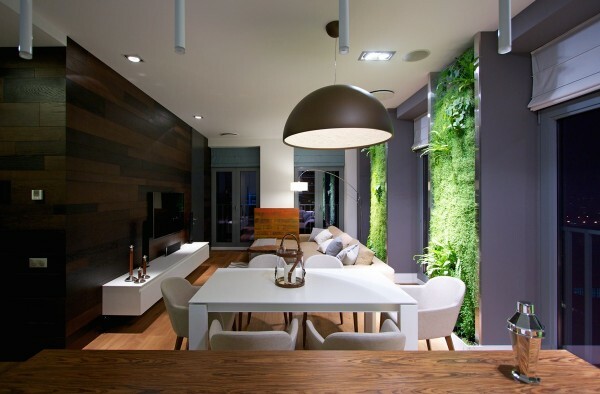 In this contemporary apartment, from the team at SVOYA Studio, it is impossible to ignore the amazing vertical gardens that decorate the small but luxurious living area. 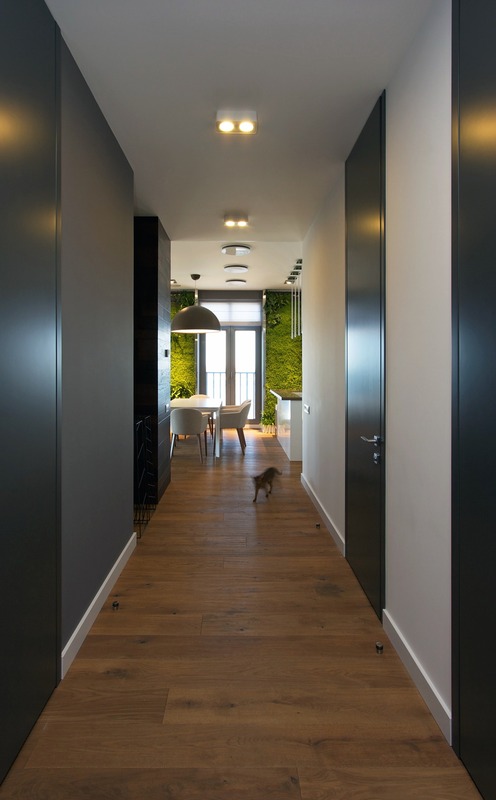 With vibrant green plants and mosses growing straight out of the walls, the apartment becomes an oasis overlooking the city. 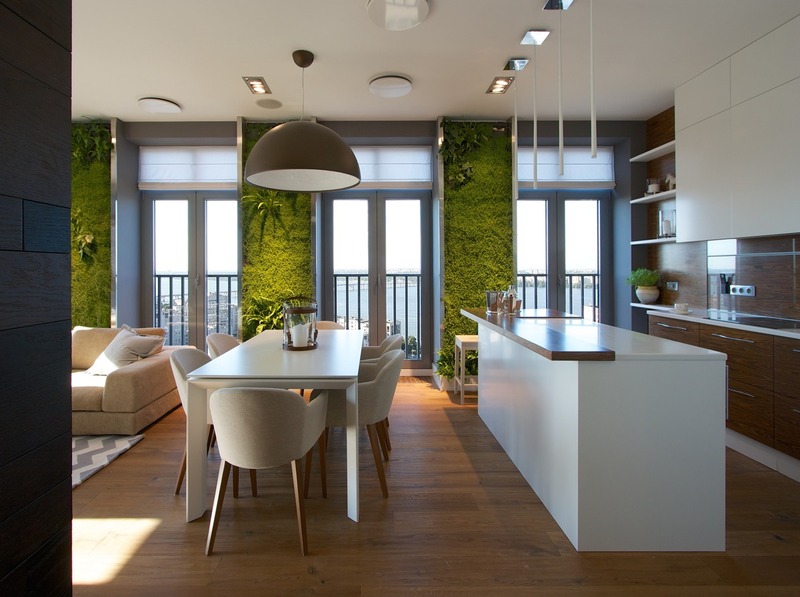 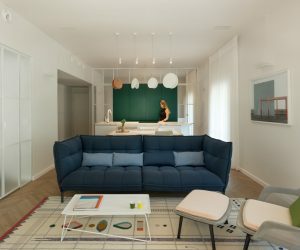 The classic and the contemporary exist in harmony, and the result is an apartment that both celebrates its city, and lets you forget about the world bustling on below. 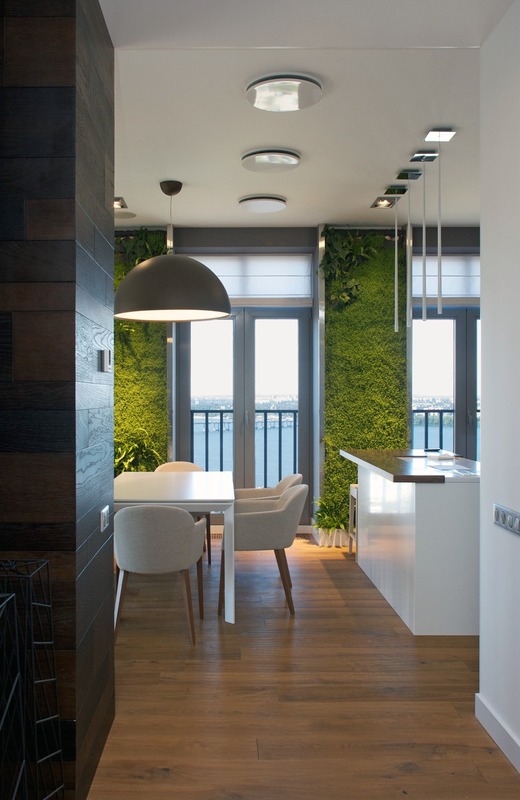 The design team admits to being incredibly inspired by this space, largely due to the views of the River Dnipro, the longest river in the Ukraine. 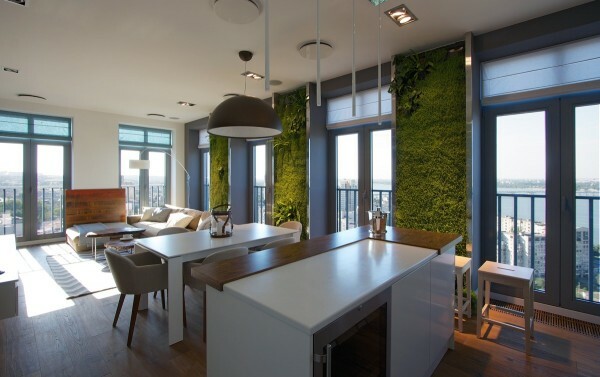 Here we get a small glimpse of the spectacular views, which are expertly framed with the beautiful vertical garden panels. 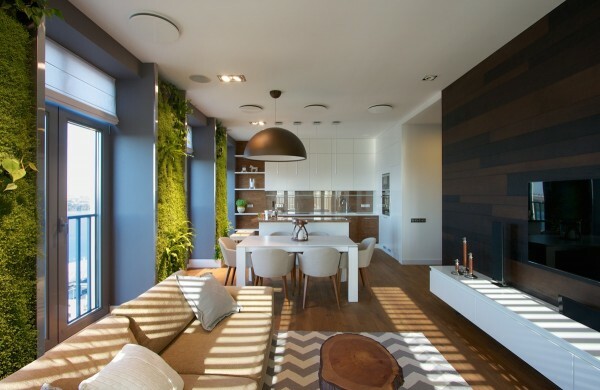 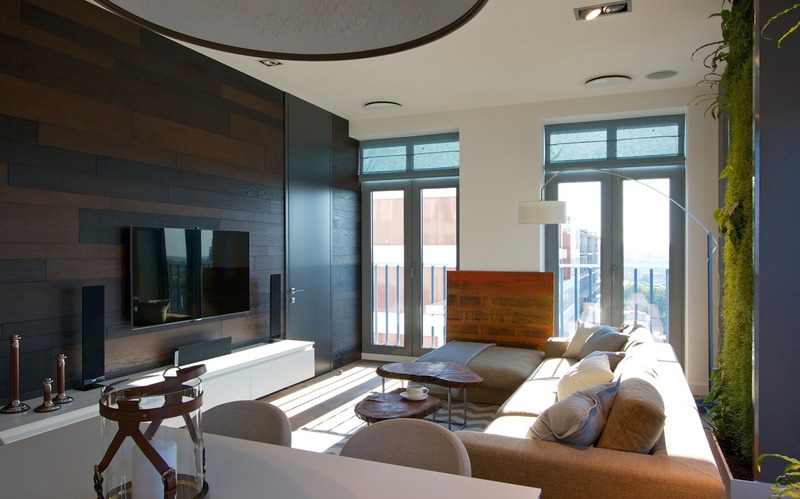 The apartment is not spacious, but still manages to incorporate plenty of comfortable spaces. 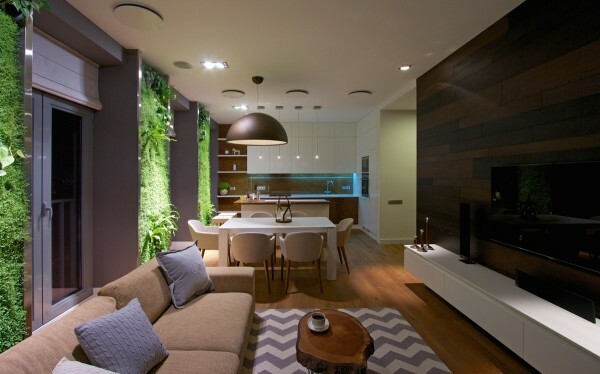 Simple, modern elements and largely neutral color palette in beige, brown, and white make the space feel serene from every angle. 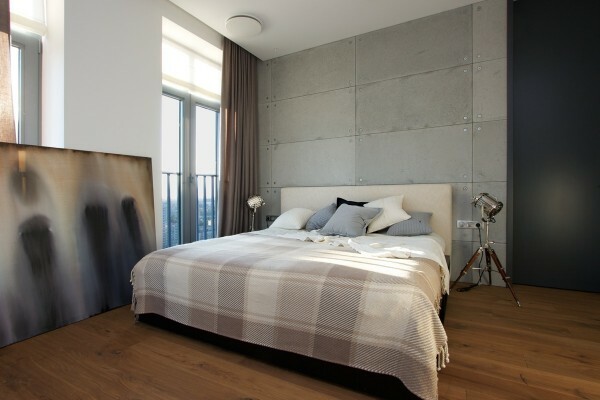 The bedrooms are not large, but offer enclosed comfort and their own private views of the river. 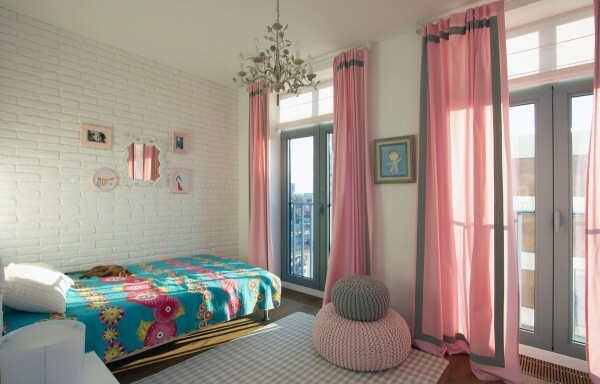 The little girl’s room is understandably the most colorful space with gauzy pink curtains and even a chandelier fit for a princess. 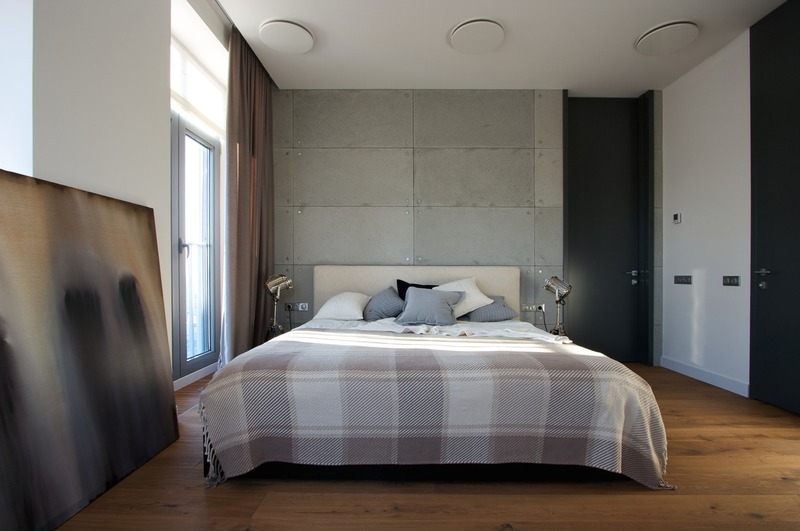 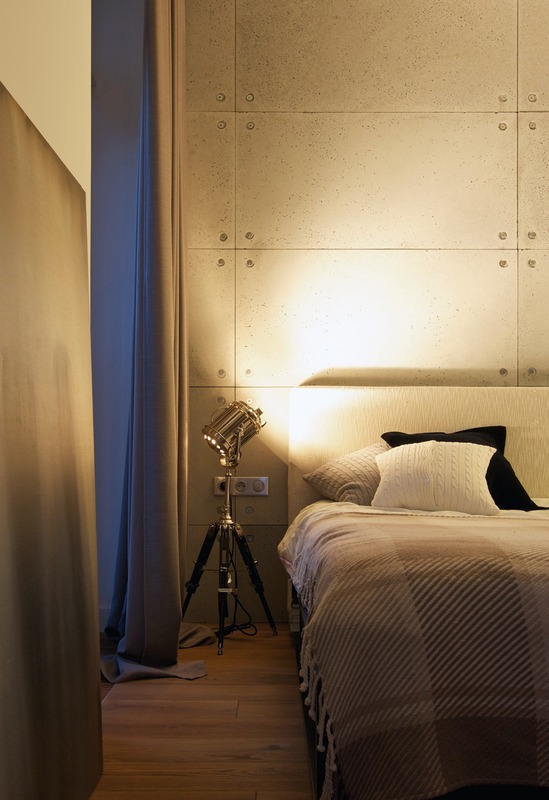 The master bedroom on the corner has city views on two sizes and simple but bold spotlights for a bit of an industrial effect. At night, the garden panels, which were the construction company’s biggest challenges, are even more stark against the dark night sky. Despite the conservative square footage, this beautiful apartment offers a lovely space to come home to and is a tribute to its surroundings. The authors of this space are Denis Sokolov, Valeria Sokolova, Tatyana Lazovaya, Julia Martinenko, Artem Martinenko from SVOYA Studio. 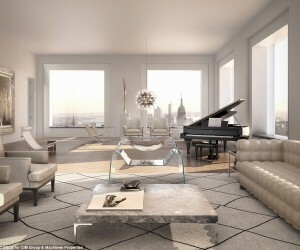 The photographer was Tanya Kovalenko.